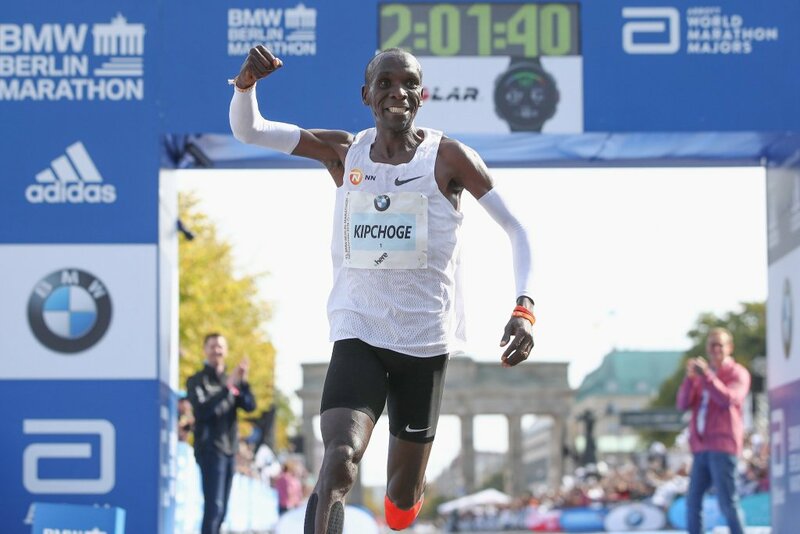 Last Wednesday I was lucky enough to be able to attend ISPO Munich, as Run Reporter and I fall under the ‘press’ category. I flew out to Munich from Luton, staying in a lovely AirBnB in a small province of Johanneskirchen on the outskirts of northern Munich, allowing me to travel to the East for the city into Messestadt Ost where ISPO Munich was being held. 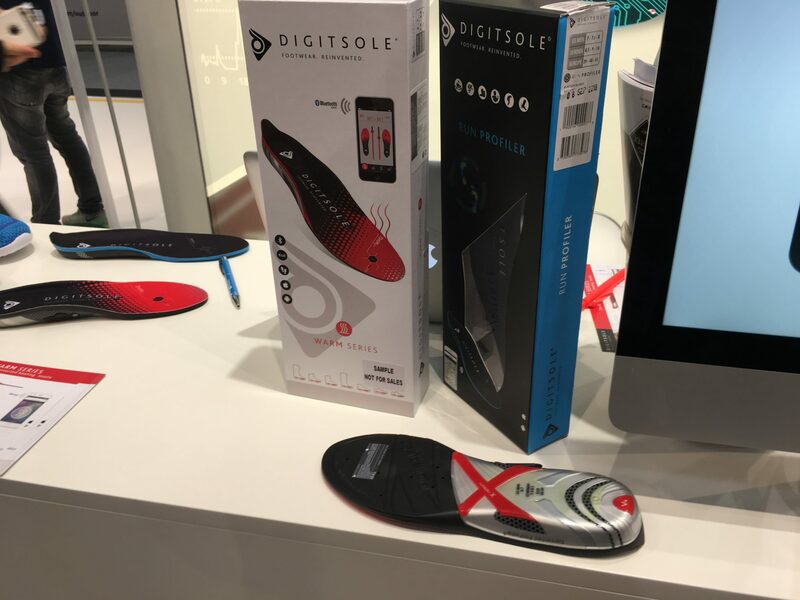 ISPO Munich is a trade show for the international sports industry to display and show off their new products and sports technology to both the press and retailers. ISPO Munich is generally a rather low key event in the year as trade shows go for the sports technology industry on a whole with CES still taking poll position for major announcements and new products. Instead, ISPO Munich is a great platform for new, small start up companies to gain some grounding and exhibit new products to the 85,000 visitors which wouldn’t otherwise have had the opportunity to get much publicity. Over the course of the day, I spent the majority of the time in the ‘Health & Fitness’ hall which was packed with a range of wearables, clothing and sports equipment which was undoubtedly dominated by hundreds of various treadmills. 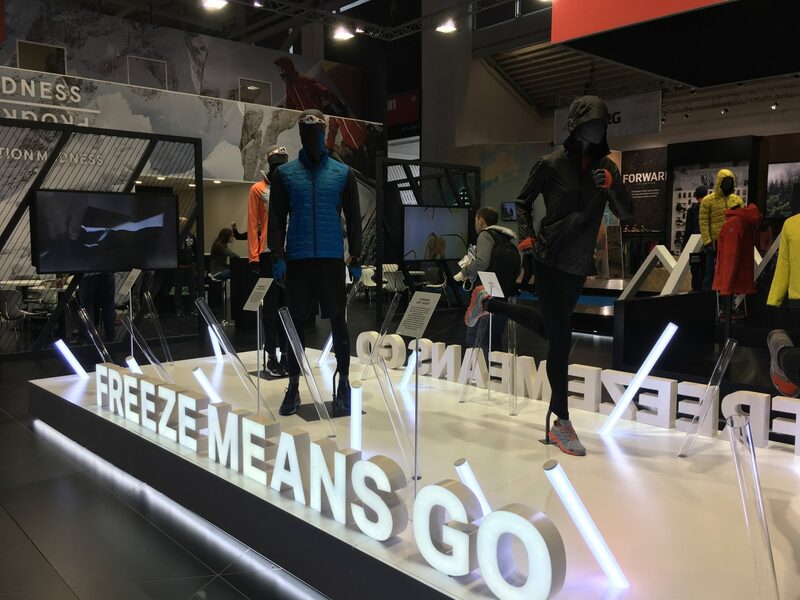 Treadmills aside, this post will feature the main interesting products and bits of sports and running technology that I found to be the most interesting and innovative at ISPO Munich. There was a range of sports equipment and technology and although I was primarily focussed on the running products, one or two others caught my eye. One in particular was a new invention which came through Kickstarter from American company YoYo Mats – pioneered by inventor Aaron Thornton. 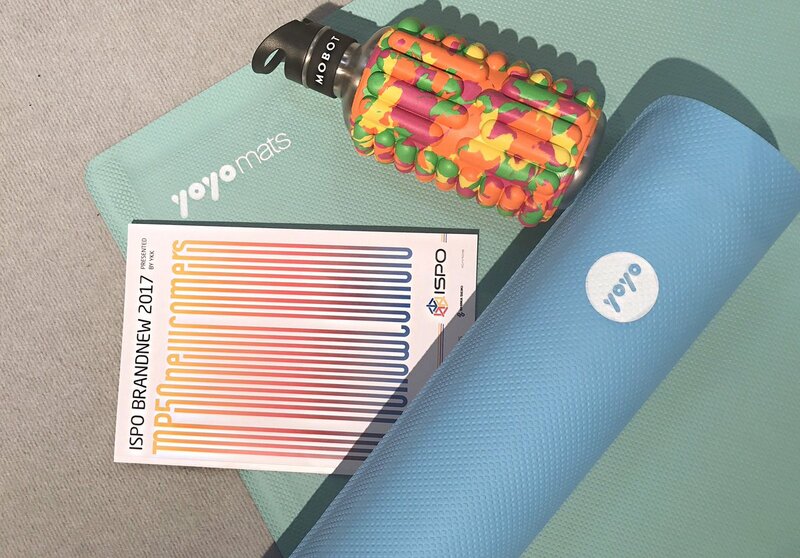 The idea of the YoYo Mat is a self rolling yoga mat which has a magnetic strip at one end to hold the rolled mat in place. I met with Aaron at ISPO Munich to discuss these yoga mats which he designed from the inspiration of snap on wristbands. With this inspiration, the edges snap into place but also snap out of place allowing the mat to roll itself up. These mats are designed with exceptional quality and just look like a professional product that I am sure will be very successful in multiple different markets. This is evident as the YoYo Mat one the ISPO Munich award for best new brand. The YoYo Mat comes in two different sizes, either 24″ x 72″ or 28″ x 72″ which are $79.99 and $99.99 respectively. You can purchase a YoYo Mat here. On one of the smaller stands along the isles was a small company called Digitsole. Here they were advertising two very interesting products, which as the name suggests are insoles for your shoe. The first product – The Warm Series – is designed to detect the temperature of the foot and use an in built heating element to help warm your foot back up. The extent to which the insole is used to heat your foot depends on battery life which ranges from 3-9 hours and can be recharged via micro USB. Personally, their second offering of a ‘Run Profiler’ insole is of most interest to me. This insole not only acts as an all day – supremely accurate – activity tracker but also has the ability to measure both cadence, pace as well as varying pressure applied over different areas of the foot. This provides great insight into weaknesses which can be corrected via strengthening exercises. This is not the only product that provides this type of pressure analysis as competitor Kinematix offering their product ‘Tune’ which is a similar pressure analysis insole. The Kinematix Tune also offers exercises to help improve stability imbalances and correct areas of highest impact. 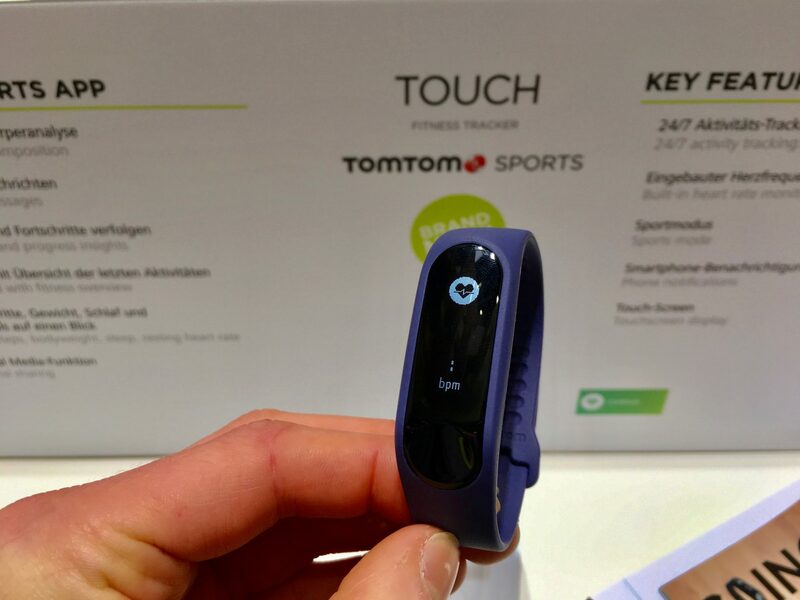 I have talked to a great extent about the details of the new TomTom Touch Cardio which was announced at ISPO Munich (one of the only actual announcements to come out of the show) and you can read my full review of it here. The only change that TomTom have brought to this new Touch Cardio is the removal of the Body Composition feature which was on the Touch Cardio + Body Composition. 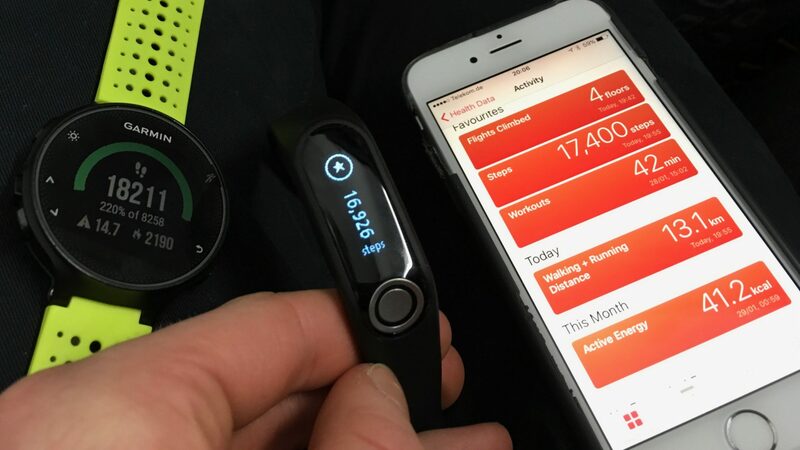 I personally think that this is a good move to offer a very cheap and capable activity tracker which is very intuitive and user friendly alongside the addition of the TomTom Sports App. On the clothing side of things, The North Face along with multiple other outdoor and adventure companies are looking towards a more trail and fell running scene. The main challenge for The North Face is to be able to produce a lightweight, waterproof yet breathable garment which also doesn’t stick to the skin once damp. This dilemma has been seemingly solved via the collaborative effort between Gore Tex and The North Face. As was being shown off by the Gore tex stand, a new special coating which can be applied to the outer layer of most pieces of clothing can now ensure that moisture runs straight off the material rather than soaking into it, without it to stick to the skin. This coating has now been applied to the new line of running jackets from The North Face which allows for a new, lightweight solution to running whilst remaining dry. The new Hyper Air GTX Jacket is of a very stylish design, however the dark and monotone colour offerings don’t make it the best for wearing at night. The North Face also don’t seem to be the only outdoor company adopting the colour scheme, but the marketing team at The North Face ensure me that new brighter colour variations will soon become available. Garmin took control of the fitness wearables market at CES in January, announcing their new Fenix 5 lineup. 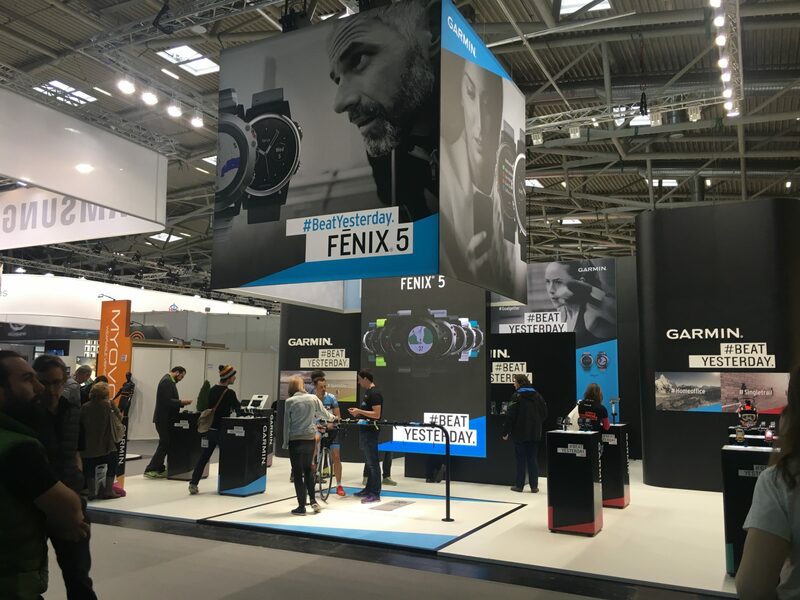 This meant there was inevitably nothing new to be seen at ISPO Munich, although it did give the Garmin sales team another opportunity to display and show off the Fenix 5, 5S and 5X models. This was the first time that I have been able to get my hands on one of the devices which won’t be released to buy until around March of this year. The first and most interesting aspect which I noticed was actually how small the device was. With it being the most powerful and high end watch offered by Garmin (aside from the Chronos line). Especially with the Fenix 5S, the watch was really lightweight and discrete – far from the presumed bulky watch that its predecessor, the Fenix 3, had forced into the minds of consumers. 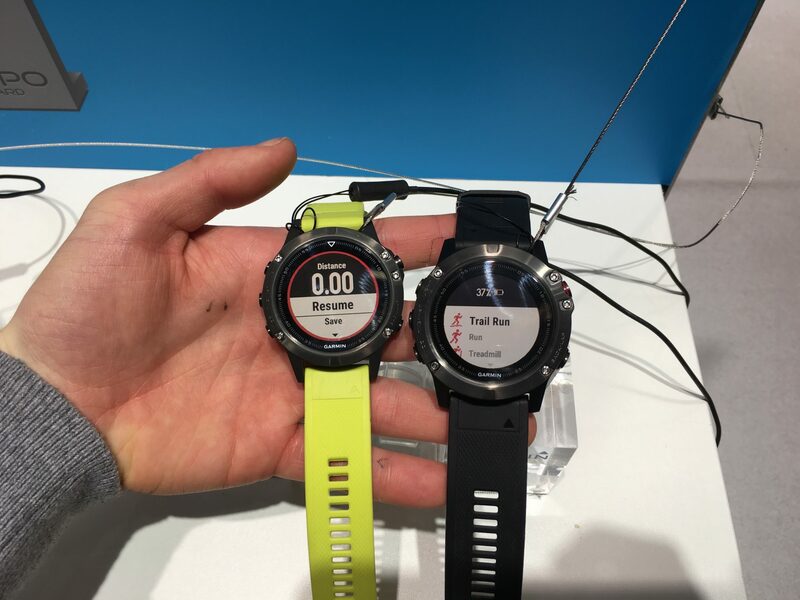 ISPO Munich gave me the opportunity to compare and contrast the sizes and weights and led me be be very impressed with the quality that Garmin have produced with the Fenix 5 line. Not only was the hardware a success, but the software and the new menu system was impressive, offering a vast array of sports whilst also giving the option to add your own category and exercises to be measured by the watch. You can read my full overview of the Garmin Fenix 5 here. The full showcase of the various established and start up companies on offer at ISPO Munich was great to see, giving some amazing new products and ideas. From small Kickstarter projects gaining recognition to vast monopolies of the industry cementing their position, ISPO Munich offered everything for the Sports Technology industry. Walking around the Messestadt floor gave me a real insight into the direction of the Sports Technology industry whilst also giving great details into new products. These may look to revolutionise the way we record and analyse data whilst also allowing athletes to perform to a better standard with the equipment and technology at their disposal.